The construction of Bridget Hoida’s debut novel, So L.A., consciously mimics that of the art form for which the city is best known: the movies. The book’s five sections are “takes,” the chapter titles would be appropriate to a screenplay, the physical descriptions are vivid and detailed, and the acknowledgements pages are (cleverly, I thought) presented in the style of film credits. And like some movies, the tone veers abruptly from comic to dramatic, and from down-to-earth to “what planet is this?”--it’s frustrating at times, and you wonder what it might have been if it had just settled down. But it’s compulsively watchable (or in this case, readable), and there’s enough good stuff in it that you’ll be interested to see what this writer/director does next. Los Angeles is a city whose biggest industry is built on make-believe (and yes, that includes “reality” TV) and whose related mythology is based on self-reinvention, and Hoida’s Magdalena de la Cruz seems to be embracing it. 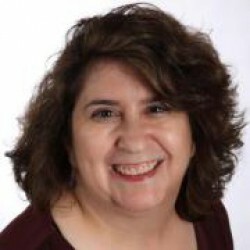 She inhabits the glittery, status-conscious, idle-rich world that both promotes and feeds that myth--the “L.A.” that many people who know this city only from its entertainment products may think is the real thing, but that relatively few of its residents ever approach. Unlike many, Magdalena didn’t come here to act; she and her husband Ricky struck it rich in bottled water, and they moved from their home in the agricultural San Joaquin Valley to cultivate this prime market. But there’s no question that during most of the time they’ve lived in Southern California, Magdalena has been acting out--transforming herself physically and behaviorally--driven by deep emotional conflicts perpetuated by the sudden death of her beloved brother two years earlier. 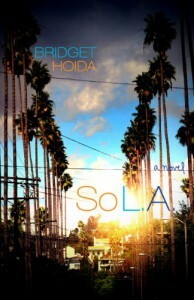 Bridget Hoida shows talent and promise as a novelist, but So L.A. is a bit of a misfit. It seems to want to be a lightweight, breezy beach read, but it’s got a bit too much darkness and complexity underneath for that. I found it a sometimes frustrating, deeply moving in spots, occasionally nonsensical, and consistently interesting...come to think of it, it really might be pretty L.A. itself.